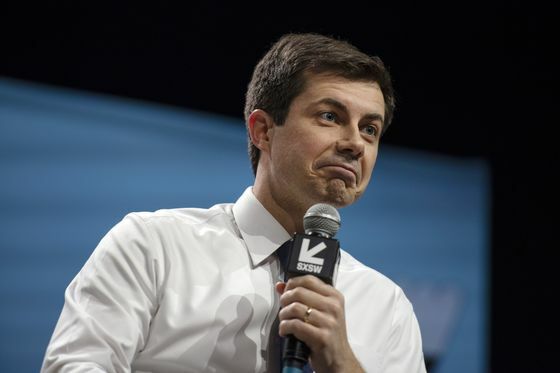 (Bloomberg) -- Polls in the first two states that will hold presidential nomination contests early next year -- Iowa and New Hampshire -- show a surge in support among Democrats for Mayor Pete Buttigieg even as former Vice President Joe Biden and Senator Bernie Sanders remain the front-runners. Senators Elizabeth Warren of Massachusetts and Kamala Harris of California are at 7 percent, followed by former Representative Beto O’Rourke of Texas at 6 percent, Senator Amy Klobuchar of Minnesota at 4 percent and Senator Cory Booker of New Jersey at 3 percent. The remaining candidates and potential candidates tested were at 2 percent or less among likely caucus-goers. The Iowa survey was conducted April 4-9 with 351 Iowa voters who are likely to attend the Democratic presidential caucuses. The results have a margin of error of plus or minus 5.2 percentage points. Buttigieg saw the most growth in standing among the candidates since the poll was last conducted in February. He’s seen a 33 percentage point increase in name recognition since then, following a wave of national media attention in recent weeks.